...last year marked the 25th anniversary of the F. Parvin Sharpless Faculty and Curricular Advancment (FACA) program — Park’s innovative, endowed program for professional development. For the past 25 years, Park teachers have spent their summers deeply engaged in learning – from the latest research on teaching spelling to lower schoolers – to the best use of technology to fully engage middle schools students – to broadening the lens through which we understand our world from the study of history and literature. Park faculty members have spent their summers becoming experts, and have then brought all of that learning back to their classrooms each fall. In thinking about FACA’s next 25 years, we plan to build upon the success of our nationally recognized program while incorporating our strategic priorities for our next century. One of those priorities, extending Park’s public/private partnerships, seemed an ideal opportunity to harness the thought leadership and practical application that FACA inspires. 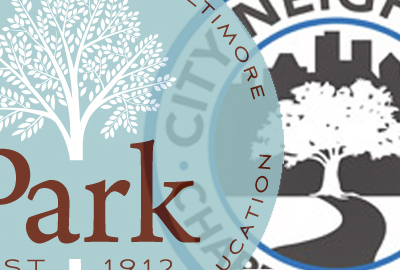 In the spirit of what FACA represents — the very best opportunities for teachers to learn and grow — I am happy to report that The Edward E. Ford Foundation has awarded The Park School a $50,000 grant for building a new professional development partnership with City Neighbors High School, a Baltimore charter school. E.E. Ford’s generous funding, which Park will match dollar for dollar, will enable Park teachers to collaborate with their teaching colleagues from City Neighbors beginning in the summer of 2016. We, and E.E. Ford, believe that bringing faculty from both schools together creates a powerful learning opportunity for all participants, and, by extension, for our students. Teachers learn best by working with one another, and City Neighbors shares our progressive approach to teaching and learning, making them the ideal partner in this enterprise. Park has enjoyed a strong connection with City Neighbors High School for several years. For the past two years, students from City Neighbors have joined their peers from Park, City College High School, and Cristo Rey Jesuit High School on the Civil Rights Trip, an immersive program begun here at Park in 2004. Numerous Park faculty members have presented sessions at the annual Progressive Education Summit hosted each year at City Neighbors. Park teachers have visited City Neighbors on professional days, inspired by the school’s commitment to progressive pedagogy and practice. Each experience has strengthened the bonds not only within our educational communities, but within our civic community, as well. We can’t wait to see what emerges from this collaboration — our teachers are already dreaming about future initiatives — and we know that students here at Park and at City Neighbors will benefit from the generosity of E.E. Ford’s supporting grant. I look forward to sharing news of the meaningful work to come.